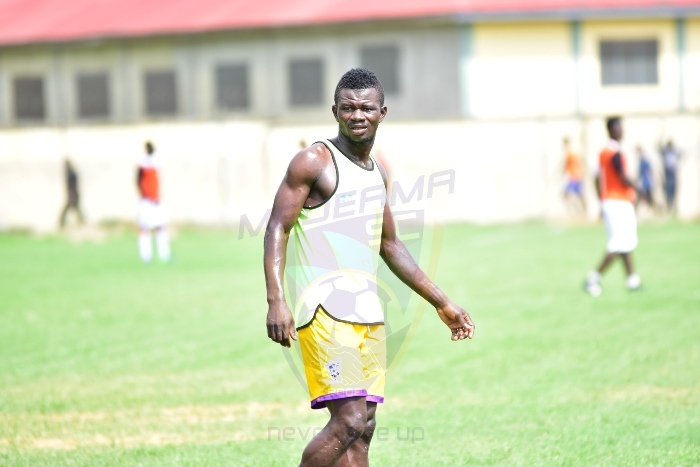 Medeama SC midfield kingpin Kwasi Donsu has credited his two goal heroics to the entire team after the Yellow and Mauves beat Champions Aduana 2-1 in an outstanding league fixture on Sunday. The inform midfielder scored both goals as the Tarkwa side hop to the top of the table with the victory over the CAF Confederations Cup campaigners. Donsu, who won the man of the match in the game opened the scoring early in the 6th minute before Aduana’s Sam Adams leveled for from the spot. The free kick expert then added the second with few minutes to end the game. “When you look at the fact that the game was headed to a draw, and the game was 1-1, we were all fighting for victory. For me I had that believe that I was going to score two goals and at the end we will carry the day,” he added. The Tarkwa side are now top of the table and have a chance to win their first ever premier league title even though the season is just in it’s 12th week. “I have always said that we have good and quality players in the league and at the end of the day we hope to achieve our target. I don’t any player would avoid the chance of winning the league but for us, we are taking each game at a time,” he concluded. 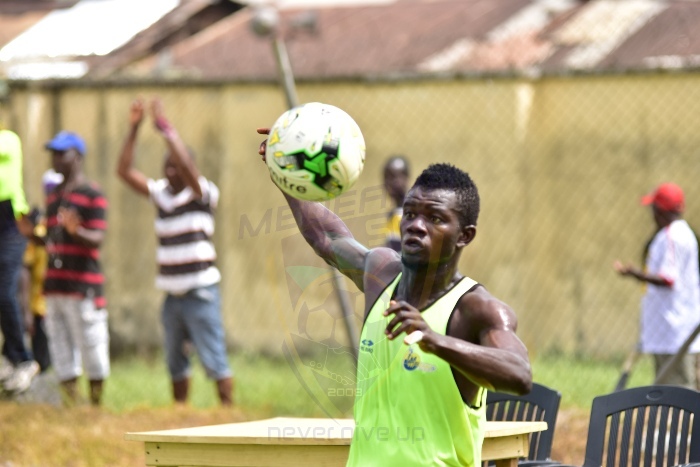 Meanwhile, the Ghana Premier League, now the Zylofon Cash Premier Lewague returns on Wednesday after a two week break with Medeama traveling to Berekum to face Chelsea.